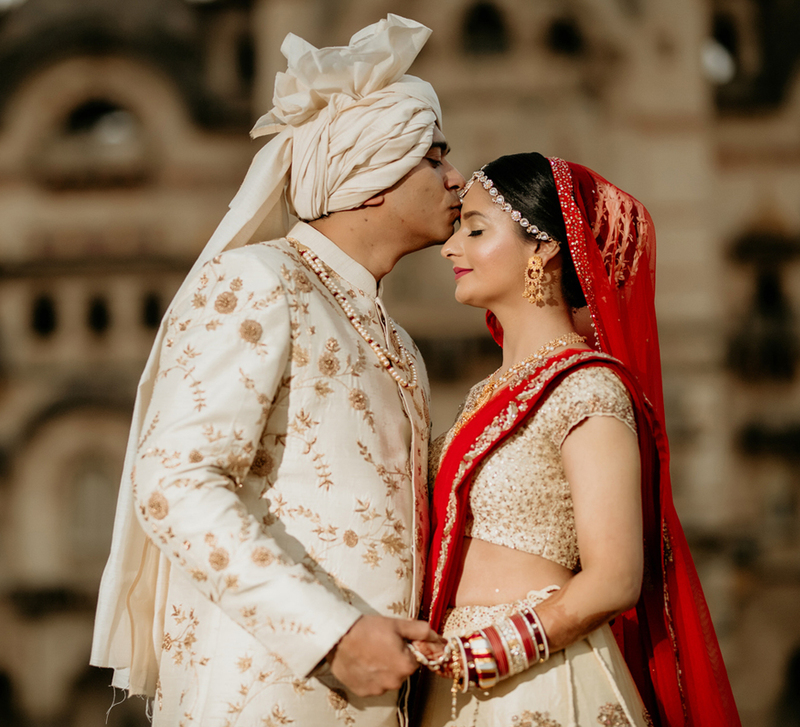 From a scooter with a sidecar to a palanquin, Nupur and Saurabh's wedding saw some dramatic and memorable couple entries. 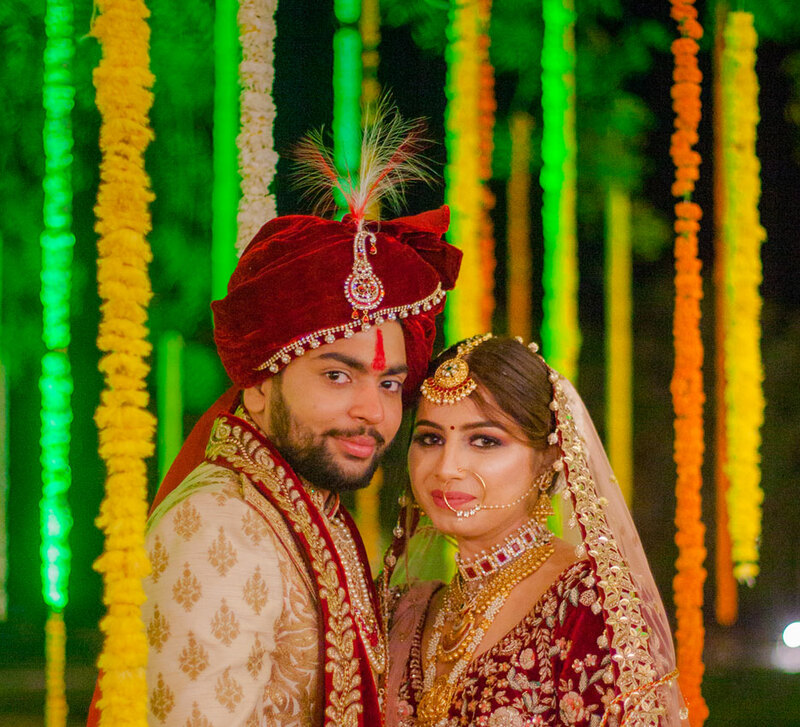 The lush lawns of the Indana Palace Jaipur hotel were decorated in a bright and beautiful way for Nupur and Saurabh's nuptials. WeddingSutra Favorite - Weddings by Knotty Days zoomed their lens on all the lovely details and loving emotions in their photos. 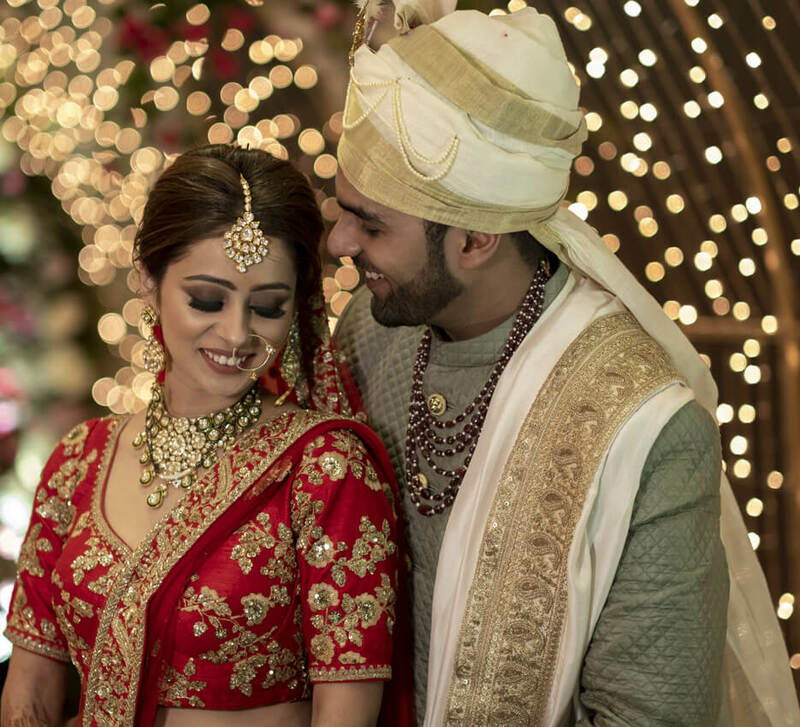 Bride Nupur shares highlights of the vibrant festivities with us. “Saurabh and I are VIT (Vellore Institute of Technology) University graduates. We first met in 2015 when Saurabh visited the campus to recruit students for his company. I cracked the interviews, and we started working for the same firm. After working together for over a year we fell in love. It was a roller coaster ride for us as we went from having a strictly professional relationship to a romantic one. It was difficult in the beginning as we were hiding it from everyone in office, but later on, when our friends and colleagues got to know, it was a very exciting and memorable phase in our journey." Nupur and Saurabh made a filmy entry at their haldi in a scooter with an attached sidecar. They combined the haldi with a holi- style event as a surprise for their guests. 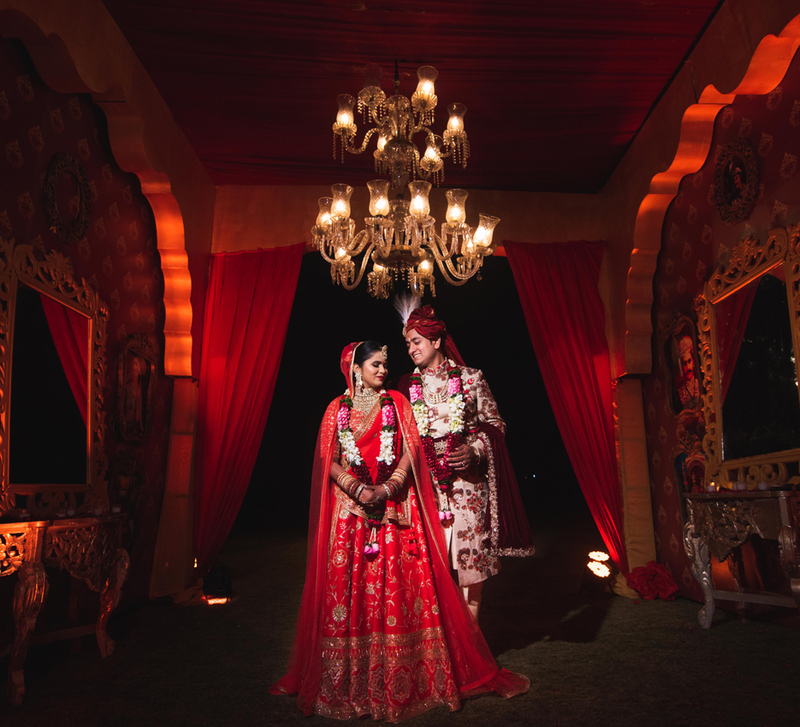 Their shared haldi ceremony meant that they could enjoy with all their loved ones. After the function, they brought out the colors and what followed was a fun holi with flower petals, colors and color bombs. Jewellery: Symetree, D.P Jewellers (Indore), Kalyan Jewellers (Indore), Needledust (Accessories), Floral Jewellery by Priyanka.